Want to create a happy and more productive workplace? Leaders who send clear messages to their team create a happy and more productive workplace. Psychologists measure a person’s ability to deal with situations like conflict in the workplace, having a difficult conversation, and being resilient when faced with challenges as a person’s “Emotional Intelligence.” A manager or supervisor who has high Emotional Intelligence will not only be able to resolve conflicts, listen in an empathetic way and manage their own angry feelings better, but they will also be able to attract team members who also have these skills. These EI “soft skills” lead to greater retention of star performers, higher productivity, happier customers, and an overall stronger bottom line. All of these soft skills start with learning to communicate with clarity. Communication skills start with self-knowledge. Working with Emotional Intelligence exercises can help build our self-knowledge which leads to clearer messages. Imagine you know that a coworker is angry with you. If he/she says (with an angry tone or look), “I’m not angry,” how do you feel? Do we feel less trust in our colleague? Most of us would prefer hearing a calm but angry statement instead of an unreal denial. This is because mixed messages cause stress. A mixed message (I am trying to hide my anger but it’s easy to see) often results in conflict. Do I try to hide my feelings when talking with others? Am I sending mixed messages? 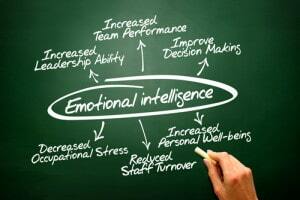 A benefit of emotional intelligence is self-knowledge. When I know how I feel I also know what nonverbal messages I’m probably sending. If I can admit to myself (and others) what I’m feeling, I can send clearer messages and develop trust in my workplace. I first must communicate with myself before I can communicate with another. Then I’m less prone to fool myself into believing a lie. An example: A colleague asked for help but I was resistant. As I thought about the situation, I had to admit my selfish motives. Once I understood my fears regarding time and effort, I was able to make a more informed choice. I could choose to be helpful with my eyes open and no resentment. Or I could ask for other options. As long as I don’t give my co-worker a mixed message, we can communicate with less chance of conflict and frustration. Talking to others or journaling are great ways to uncover our true feelings that are often hidden. Since emotions are a kind of internal GPS, knowing our true emotions will not only help us communicate more clearly but also learn valuable information about our situation. Is there something in the situation that we haven’t yet dealt with but we need to manage? Feelings of anxiety or fear might mean I’ve overlooked some important details. If I’m feeling angry, has someone crossed a boundary that I need to defend or at least acknowledge? 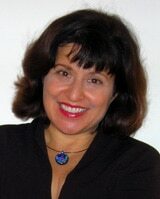 Team reflection: Does my team support honest communication of feelings? Do we discourage gossip and encourage direct, clear messages to each other?